Shakhtar will hold their second encounter in Kharkiv in five days. 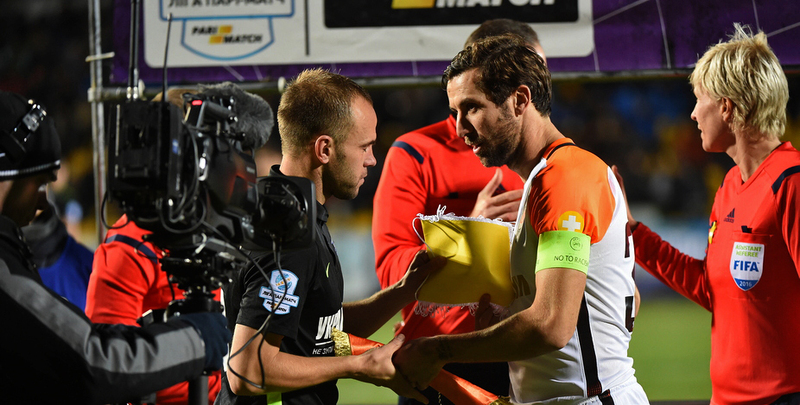 On Wednesday, the Orange-and-Blacks secured the spot in the Ukrainian Cup final, after beating Dnipro, with a winner being notched by wearing a skipper’s band Taison. 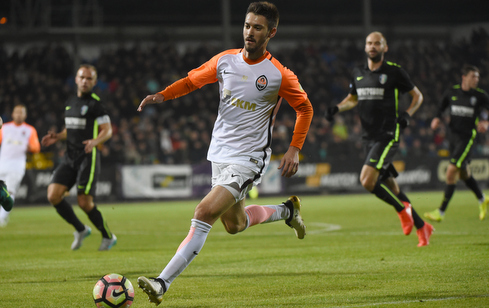 In the league’s 26th round, Paulo Fonseca ‘s men extended their lead on the second spot to 14 points in the clash versus Dynamo. The Donetsk side should achieve the maximum result in the upcoming games. The day before, the Pitmen conducted an open training session at Sviatoshyn training facility. Dentinho and Sergii Kryvtsov revealed that they were focused on future fights and eager to please the fans with a beautiful game. The squad are approaching the meeting with Oleksandriia loss-free, everyone is training in the general group. After starting the season’s spring part with a comfortable win over Volyn (6-0), Volodymyr Sharan’s men had a six-game winless streak. Oleksandriia lost to Stal and Dynamo (1-4), Karpaty and Chornomorets (0-1), and also shared points with Dnipro and Zorya home (0-0). In the 26th round, the team changed their disappointing statistics after claiming a home victory at Olimpik through a goal by Artem Poliarus. The Pitmen’s opponents come currently fourth in the standings. Oleksandriia and staying close in the standings Chornomorets claimed 37 points for each team. The top scorer is Stanislav Kulish, which registered four out of six goals in a single encounter with Volyn. On average, the Oleksandriia-based side score 1.5 goals per game. The teams have held 10 fights in the domestic league. Shakhtar emerged victorious in all of them. The total goal difference: 24-7. The Orange-and-Blacks secured 5 home victories by a different score (2-1, 5-0, 3-0, 2-0, 1-0). Goals difference: 13-1. In the Ukrainian Premier League 14th round, Shakhtar notched up a 2-1 away victory to snap a six-match unbeaten run of the opponents. In the first half, Dentinho and Facundo Ferreyra made their marks on the scoresheet. Immediately after the break, Roman Yaremchuk pulled one back, with the Donetsk team soon taking the game into Oleksandriia's half the pitch again. In the middle of the second half, Ivan Ordets could extend the visitor’s lead only to see the ball hitting the post. The Pitmen’s goal-scoring streak in the Ukrainian Premier League kicked off on August 28, 2015 and lasts 46 matches (121 goals). Facundo Ferreyra is a sole leader in the Premier League top scorer race (11 goals).